July 30 is our Annual Kid’s Concert! The weather is going to be perfect! Grab the kids and bicycle over to City Hall to hear us! Thanks for coming out to our concert! Band and audience members all had a great time. Special thanks to the surprise attendance by Santa. Click Here to see the photos!! 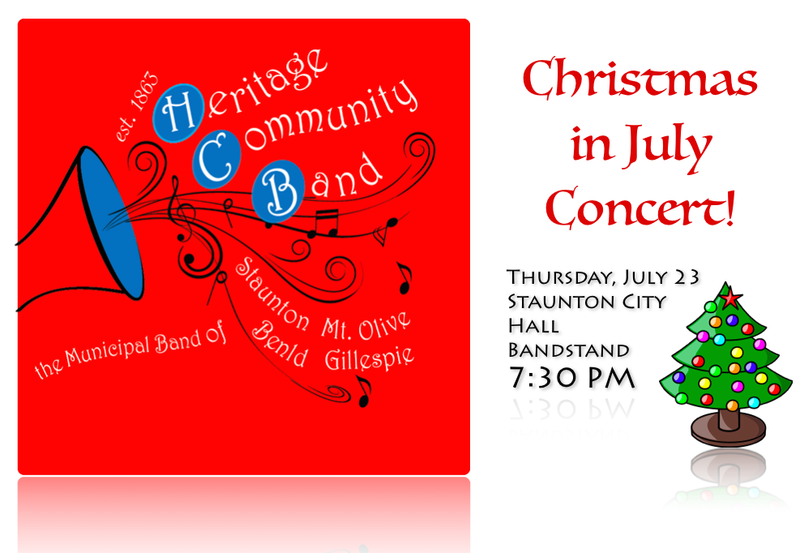 July 9 Concert in Staunton! Tonight’s concert will be great fun with the theme, “Classics of Different Stripes.” We’ll perform a number of popular light classical works as well as some pop classics that you won’t want to miss. Come on out to downtown Staunton at the bandstand behind the Staunton Public Library. The concert is free, family friendly and lots of fun, especially with the homespun humor by our announcer, Jolly John Fassero. Members of the band are local people, good players and range in age from teens to octogenarians! Bring your lawn chairs or blankets and even a picnic if you like. We’re looking forward to seeing you! 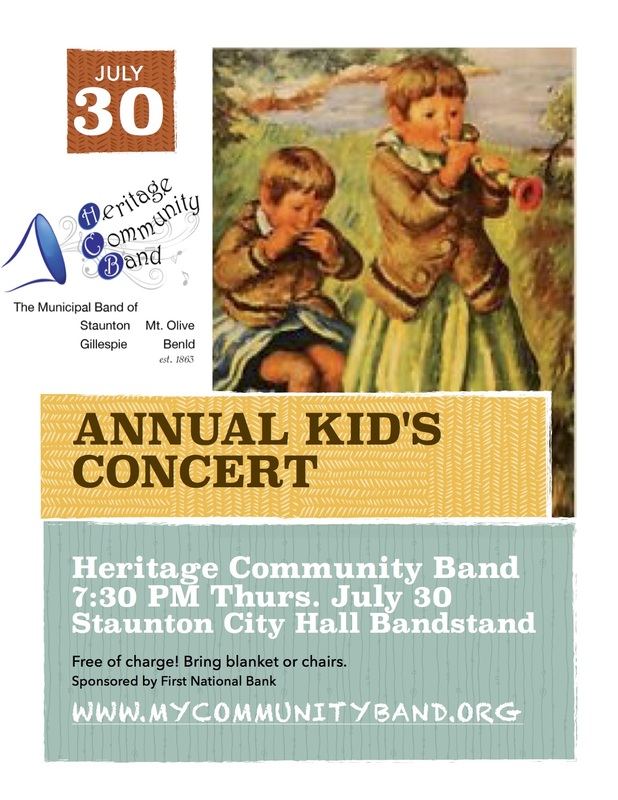 Our Staunton concert series is jointly supported by the City of Staunton, First National Bank in Staunton and the Music Performance Trust Fund of the American Federation of Musicians, Local 88. We’d like to give a hearty thanks to all of our sponsors.